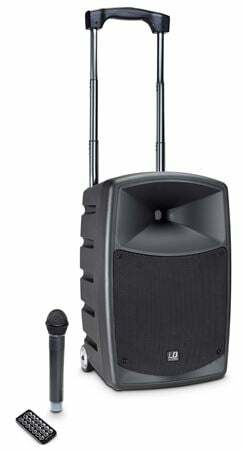 Order your LD Systems RoadBuddy 10 Battery Powered Portable Wireless PA System from AMS and enjoy 0% Interest Payment Plans, Free Shipping, Free Extended Warranty & 45 Day Money Back Guarantee. 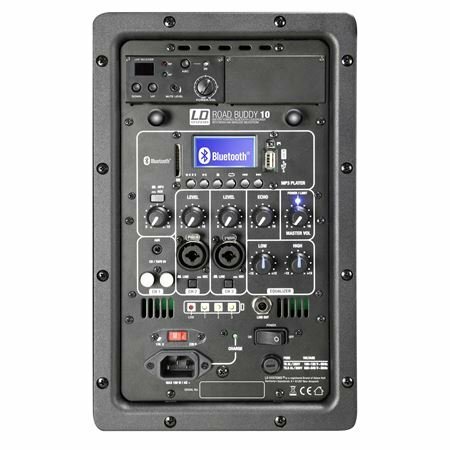 Easily transportable, Roadbuddy 10 is an elegant solution for voice and music transmission on the go. 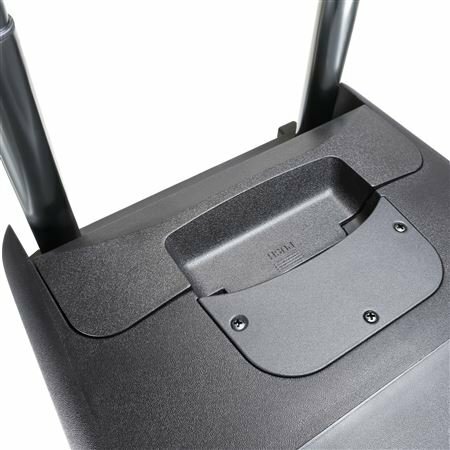 The 2-way speaker with a 10" custom woofer and a 1" compression driver is operated with a rechargeable battery for up to 8 hours and is powered by a class D power amplifier with a highly efficient switching power supply and 480 watts of peak power. The Roadbuddy relies fully on wireless transmission: it has an UHF radio receiver which operates in the 584 -607 MHz range, and can be expanded with an additional system. The on-board Bluetooth player with backlit multifunction display, equalizer, USB port and SD card slot supports the mp3, wma and wav formats. 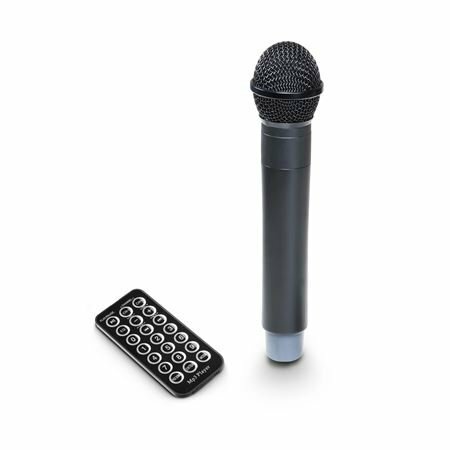 A handheld microphone with 10 mW output power (LDRBUD10B5) or as an alternative a headset microphone with belt pack (LDRBUD10HSB5) and an IR-remote control for the player are included.